This year’s Summer Film Shoot theme is ‘Mix It Up’. Each film produced by crews over the summer needs to take two genres, conventions or styles and mix them together to make a completely unique and original production. To help with some inspiration, we’ve put together a list of our favourite mash up films! Part biopic, part revenge horror, it sounds really terrible, and in some ways it really is, but at times it’s also a decent vampire movie, just in a real life historical setting: one of the craziest mashup ideas we’ve seen. 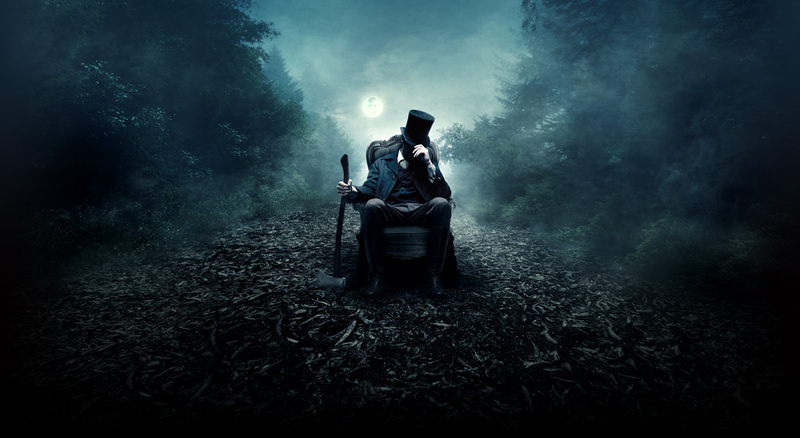 Abraham Lincoln leads a double life – attorney and later president by day, violent vampire killer on a revenge mission by night. Part horror, part sci-fi mystery, this film disguises itself as one thing and then swiftly becomes another as it genre-switches and plot twists through to a surprising final act. Part sci-fi, part comedy and partly pure surrealism. Martians invade the USA and try to take over the world. At times, it’s both gruesome and funny, borrowing a lot from 1950’s horror B-Movies, with some images so bizarre (think a woman’s head on a chihuahua’s body) we can’t help but be impressed. Part gangster crime movie turned comedy. This film shows off actor Robert Di Nero’s comedy talents, turning the gangster portrayals he became famous for on their head. The film takes a fish-out-of-water storyline, Di Nero plays a mafia boss in need of therapy, and exploits it to great comedic effect. Part nostalgic coming of age story and part Rambo-inspired action movie making. This is a really charming, lovely and funny film that celebrates a love of cinema, growing up and everyone’s favourite jungle assassin. The title says it all: part nightmarish horror, part fuzzy Christmas film. Jack of Hallowe’en tries his hand at Christmas, to disastrous, yet charmingly funny consequences. Combining horror with comedy has become something of a Tim Burton trademark, and this is considered by many to be his best film. Part hedge-row murder mystery and part high-octane cop drama, Hot Fuzz ends up being a hilarious fish-out-water comedy from the team behind Shawn of the Dead and The World’s End. Any of the trilogy could have made it onto our list, but Hot Fuzz is our favourite of the mashups. Part action-adventure, part fantasy fairytale, part family drama, this is a film you have to see. It’s visually stunning, the action sequences are frantic, jarring and genuinely thrilling, Saoisie Ronan is incredible. If you haven’t seen this, then you need to: mash up or not, it’s a brilliant film. Part fascist wartime dystopia, part fairytale, part horror, Pan’s Labyrinth is a wonderful mash up of different settings and stories that feed together thematically to create one really great film. It’s chilling and charming, beautiful and horrifying to watch. It’s also SFS Dan F’s favourite ever film and so comes highly recommended! There you go, our Top 10 Mashup Films. As you can see, it’s a fairly off-beat list, but it includes some truly original films that show how crossing genres and combining different ingredients in a non-conventional way, you can create something new and uniquely memorable. If you’ve got any mash up films to recommend, let us know! This entry was posted in Film Reviews and tagged cross genre, favourite films, film review, mash ups. Bookmark the permalink.